Improve blood circulation is essential to ensure, among others, leg health. We do not usually pay attention to symptoms that alert us, especially because we can confuse with other annoyances, but remember that poor circulation is not only evident with the appearance of unsightly varicose veins. In health, prevention is essential. For this reason, it is important to know what the common symptoms are to warn circulation problems. If what began as a mild and transient feeling becomes more intense and persistent, you should consult a doctor because it may be a problem of circulation related to the arteries or, in some cases, with the nervous system. When in doubt, always consult. Do you feel the swollen ankles at the end of the day? If this happens regularly, should consult a doctor because it can be a question of internal varicose veins. In some cases, this symptom may be accompanied by the feeling of fatigue and breathing difficulties, which can lead to heart failure. If your legs are always tired, and natural remedies are not sufficient, you should consult your doctor because it can be a problem of overload by poor circulation. Tired legs are not always symptoms of varicose veins, but should be a risk factor. It can be defined as an annoying disorder that causes pain when walking, forcing us to stop every few meters. This type of discomfort usually also appear when we have been walking for a while. It can be confused with joint pain. It can also appear in the ankles and tend to be a sign of venous insufficiency. This occurs when red blood cells pass to the tissues, causing darkening of certain areas of the skin. If this is in your case, do not underestimate its presence and consult with a doctor. And not because the ambient temperature is low, but it is a symptom that denotes circulation problems. The sensation of cold is often accompanied by the pale skin of the legs. In this case, consult your doctor, especially if you are taking any kind of medication. One of the most obvious signs of poor circulation is the appearance of skin ulcers, which also can be late in recovering. Keep in mind that there are other factors that influence poor circulation, such as overweight or obesity, hypertension or be a smoker. To end the problems of circulation, there is some other treatment for poor circulation, among which the herbal medicine and supplements for poor circulation. Phytotherapy for the purpose of improving circulation is based on a series of plants with circulatory, vasotonic and diuretic properties, as well as a series of foods with circulatory benefits. Plants with circulatory purposes stand out for facilitating blood flow, so they are formed mainly by fluidifiers that have anticoagulant properties. On the other hand, the plants with vasotonic aim help in the defense of the blood vessels and in their flexibility. Likewise, diuretic plants help in the cleaning and purification of infectious agents (toxins) of our organism and, as a result, achieve a better circulation in terms of purity and fluidity. The wheat germ oil, rich in vitamin E, has antioxidant properties, so it is usually one of the recommended foods to try to increase good cholesterol and improve circulation. 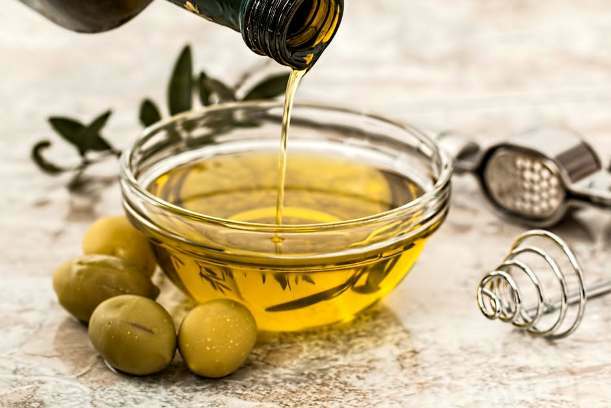 To become aware of the power that wheat germ oil can influence in our body, with only one spoonful included in our diet, we will get 190% of vitamin E recommended by experts. It should be noted that to achieve such results should be consumed in cold, simply open it. So that the components are not affected, it is recommended to consume it with an ingredient that has antioxidant powers, such as a glass of juice squeezed with water. It is very important to remember that it must be consumed raw, since any type of cooking could destroy the vitamin properties of this food. The horsetail is another diuretic food with antioxidant properties for our body. To achieve the desired effects, we can add 100 grams of horsetail in one liter of water and heat for an estimated time of 30 minutes. This diuretic product is sold in pharmacies and even in large supermarkets. The cat’s claw helps to improve blood circulation, thanks to the fluidifying benefits, so it helps in the prevention of blood clots. If the doctor detects that your blood is very thick, it is very likely to recommend this diuretic product. And finally, the blackcurrant helps in resistance and capillary elasticity and, as a result, helps to promote blood flow and in the prevention of cardiovascular diseases derived from poor blood circulation. The garlic, scientifically known as allium sativum, containing alliin and ajoene, which has antithrombotic properties, that is, preventing the formation of clots in blood vessels. Therefore, it helps in improving blood circulation. 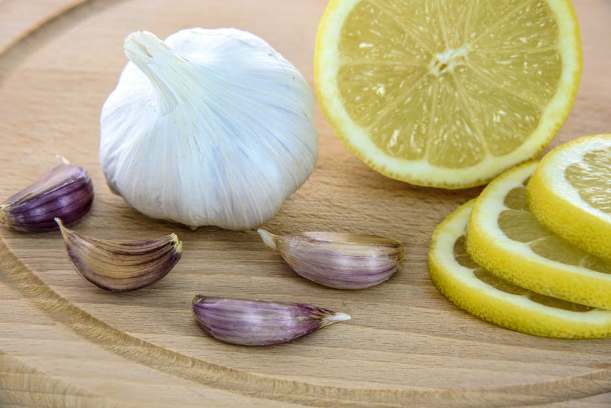 In order to achieve all the benefits, we can incorporate half a gram of garlic into our diet. The important thing is that the product is consumed raw. Some ideas to incorporate this powerful ingredient of flavor can be consumed directly in raw or in salads. Another of the food products that work as home remedies for poor circulation is meadowsweet, known scientifically as Filipendula ulmaria, which helps in the prevention of thrombosis (accumulation of fats in blood vessels) and, in addition, has antioxidant properties. To achieve all the benefits of this product, it is best to consume three herbal infusions per day. Another of the home remedies for poor circulation is the ginko. This extract is one of the most effective remedies for poor circulation, since it dilates blood vessels and allows greater blood circulation. This type of actions, moreover, allows the fat to not accumulate in the blood vessels and, therefore, the appearance of thrombosis and other more serious cardiovascular diseases is prevented. The ginger, a spice that today has become popular consumption, has anticoagulant properties and, therefore, helps in preventing thrombus and reduces stress on the arteries. It can be consumed as food and in pills. With a consumption of 3 tablets of 250 mg per day, blood circulation improves dramatically. The lime or lemon, thanks to the contribution in vitamin C, helps reduce cholesterol levels and, therefore, improve blood circulation. Also, these products have antioxidant properties, which help to eliminate the infectious agents from the body. Take a lime or lemon juice twice a day and enjoy the properties of lemon in poor circulation. And finally, argan is a product with great properties of improving blood circulation. It is not easy to introduce argan in a diet, but we recommend that you consume it raw, so you will not lose the properties. To do this, prepare a salad and add a bit of argan and you will enjoy its benefits. The consequences of poor blood circulation can be very serious, since it directly affects the cardiovascular system. Poor blood circulation gives rise to the accumulation of fat in the arteries (cholesterol) and, as a result, can lead to heart attacks (myocardial infarction), strokes caused by poor blood circulation, hypertension, diabetes, cancer or arthritis. If you perceive that some muscular part of your body becomes numb, immediately go to a doctor to evaluate your case. The list of consequences of bad circulation is immense because the problems derived from blood flow affect the whole organism and its functioning. It is very important to remedy the problems of blood circulation, since a bad treatment can cause it to go out of each of the organs of the body.